Prepare barbecue on medium-high heat. 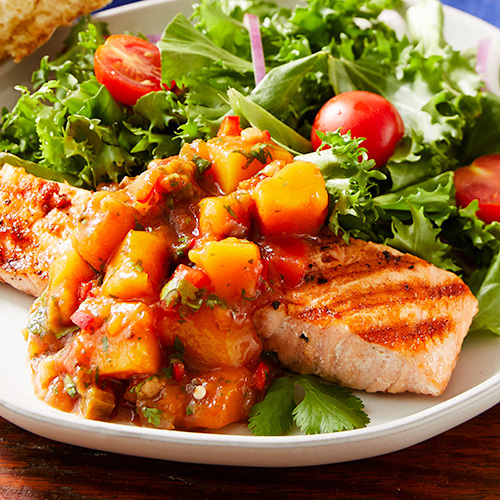 Combine Mango Lime Salsa with cilantro and chili and season with salt and pepper to taste. Brush both sides of salmon with oil. Grill until just opaque in center, 5-7 minutes per side. Serve with salsa, green salad and crusty bread.